Bourbon cocktails that will bring you some holiday cheer! The weather is getting chilly and the days are getting shorter. Moods are getting gleamy, and sometimes a little holiday pick me up is needed! 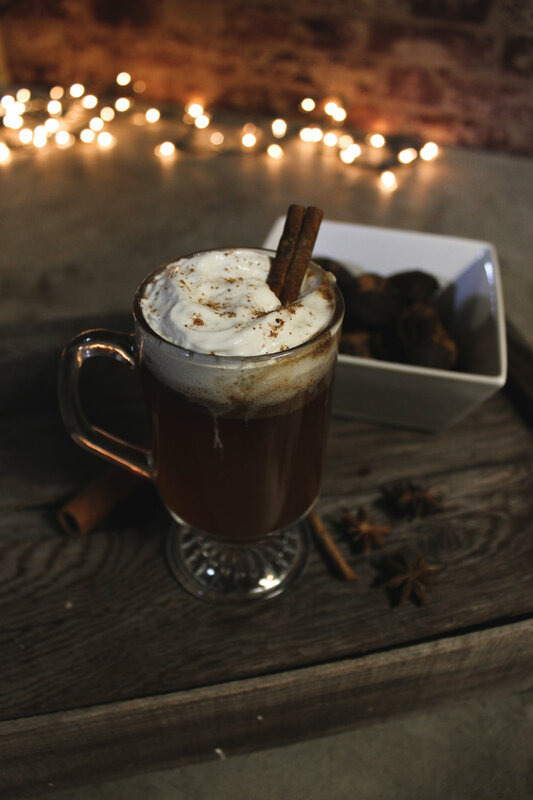 And, of course, our Moonshine Apple Pie and Hot Shot Cinnamon Whiskey make for some mighty fine holiday drinks! But, our Bourbon Whiskey does too! Next time you’re needing a quick warm up or trying to find a good drink for a party you’re hosting, definitely try these two Bourbon holiday drinks. Mix together with fork or spoon until well combined. Use immediately or store in fridge until ready to serve. Garnish with whipped cream, dust with cinnamon and pair with Bad Dog Bourbon infused Chocolate Truffles. Find recipe here. Combine milk and hot chocolate mix into sauce pan and stir until well blended. Add maple syrup and Bourbon. Let simmer (not boil) and begin cooking the bacon. Pour into mug and garnish with whipped cream, chocolate shavings, and bacon. Find more drink recipes here.